But after eight years in office, while Obama accomplished a great many things as president, the democracy reform agenda largely fell by the wayside. Since then, we have experienced what feels like an accelerating series of setbacks as much of the hard-won progress of recent years has been reversed. The political divides that Obama promised to heal have instead widened to a chasm, leaving many Americans feeling dispirited and helpless about the state of our country. The Rockefeller Brothers Fund is not immune to the effects of this backsliding. The Fund and its grantees had been working toward a global climate agreement for more than two decades when President Trump announced the United States’ withdrawal from the Paris Accord in 2017. With the Iran Project and others, we had helped lay the groundwork for the nuclear agreement with Iran, which now hangs in the balance. Despite our fervent efforts, the insidious phenomenon of voter suppression is gaining legitimacy at the highest levels of our judiciary. Each new day, it seems, reveals the carnage of another decade of hard work unraveled overnight. But I have not lost hope. In each of these cases, we at the Fund have tried to analyze what went wrong and quickly regroup—we have not given up, but rather revised our strategies, thought about the reasons for our losses, and developed new approaches to overcome them. Below are three points of reflection that guide us in this moment of political crisis. Fundamental social change does not happen in a linear fashion. The American story furnishes numerous examples that illustrate the perilous path of progress. After a wrenching civil war and a failed process of Reconstruction, Ulysses S. Grant nearly succeeded in eliminating the Ku Klux Klan in 1871. Then suddenly in the 20th century, there was a resurgence of white supremacy. A courageous and tenacious Civil Rights movement turned the tide for equality in the 1950s and ’60s, and more than 50 years later we finally elected our first black president. Examples of loss and recovery abound in our American story. Have we got a long way to go? Absolutely. But we have proven the resilience of our founding values and our democratic system of self-governance. We can recover from setbacks, regroup, rethink, and set out anew on the struggle for peace, social justice, and environmental sustainability. The RBF has traveled its own imperfect arcs of progress. For example, the Fund has been working on climate change since the 1990s. In the early 2000s, we had high hopes for federal Cap and Trade legislation and focused our activity in Washington accordingly. When that aspiration died with the failure of the Senate to pass the Waxman-Markey bill in 2010, we had to reflect, evaluate, learn, and redesign. We started ramping up our work with governors and mayors, with business leaders, with youth- and faith-based groups. All of these ultimately helped make Paris the success that it is: durable even without the participation of U.S. federal government because it is not just an agreement among nation-states, but a polylateral agreement that includes international organizations like the United Nations, as well as local governments, civil society, business leaders, and global investors. During the first week of the U.N. climate conference in Paris, France in 2015, May Boeve of 350.org and Stephen Heintz announced that more than 500 institutions representing over $3.4 trillion in assets have made some form of divestment commitment. This long-view approach is part of the DNA of the Rockefeller Brothers Fund, stemming from the beliefs of its founders. From the establishment of the Rockefeller Foundation in 1913, the Rockefeller family has recognized that social change does not happen overnight. It does not happen quickly, and it does not happen as a result of a fixed set of strategies. Change happens over time; it happens because you are nimble and flexible, but it also happens because you stick with your goals while finding new ways to make progress even after experiencing setbacks. But taking a long view of social change means risking failure in the short term. The private sector is beholden to shareholders and market demands. The public sector is beholden to the electorate. Philanthropy is beholden to neither, a status that affords us the unique freedom to set audacious goals and take risks on new and innovative approaches. Rob Reich, political scientist and co-director of Stanford’s Center on Philanthropy and Civil Society, argues that providing “risk capital” is the raison d’être of the philanthropic sector. If we aren’t taking risks and assuming the possibility of failure some of the time, we aren’t doing our jobs. Philanthropic successes derive not from enormous financial investment, but from a vivid understanding of our values and a steadfast adherence to them, particularly in moments of adversity. Many of the most urgent setbacks we feel today—the threats to our environment, our democracy, our identities—are manifestations of an assault on our values. Whereas our tactics may have to evolve to meet the changing nature of these threats, the defense of our principles needs to be unwavering. While audacious in ambition, we must be humble in approach. Early in his life, Benjamin Franklin—arguably America’s first philanthropist—conceived of a characteristically ambitious project to pursue moral perfection. He listed 12 virtuous habits that he presumed would point him toward this lofty goal. But without a remedy for Franklin’s pride, a friend pointed out, the list was incomplete. Franklin agreed, adding a 13th virtue to his list: humility. 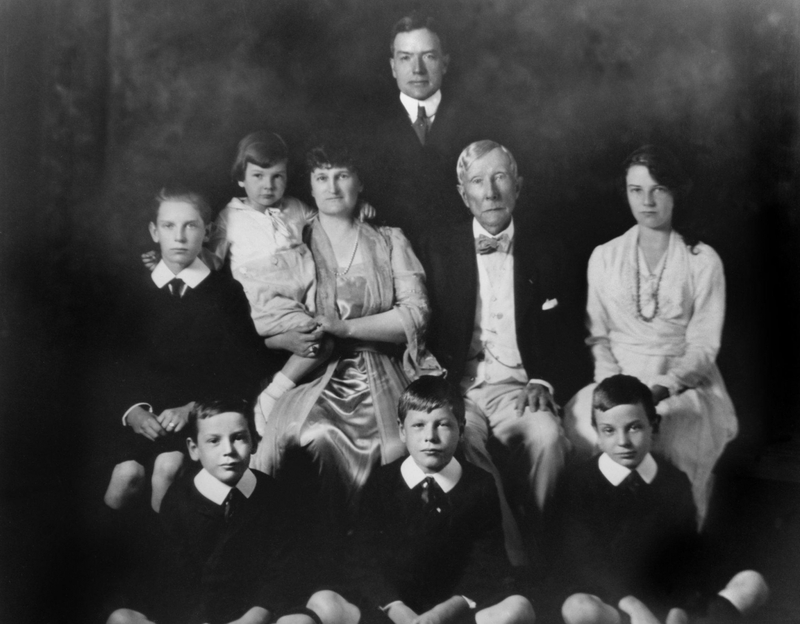 John D. Rockefeller passed his values down to his grandsons, pictured here in 1920, who would go on to establish the Rockefeller Brothers Fund. Photo courtesy of the Rockefeller Archive Center. John D. Rockefeller would have agreed. He actively cultivated this essential virtue by repeating to himself proverbs like “Pride goeth before a fall.” And he passed his conviction about humility down through the successive generations of his family, where it still drives our grantmaking today. Yet Rockefeller was also aggressively ambitious. His extraordinary success as a businessman and philanthropist confirms that entrepreneurial ambition and a humble attitude can live side by side. The humility Rockefeller had in mind does not mean giving up or turning the other cheek. Rather, it is stubborn, tenacious, and pragmatic. It means revising tactics and strategies when they aren’t working. It means recognizing that we are only a small part of the bigger story. Philanthropy has achieved nothing alone. We are effective only when we partner with others who share our values. 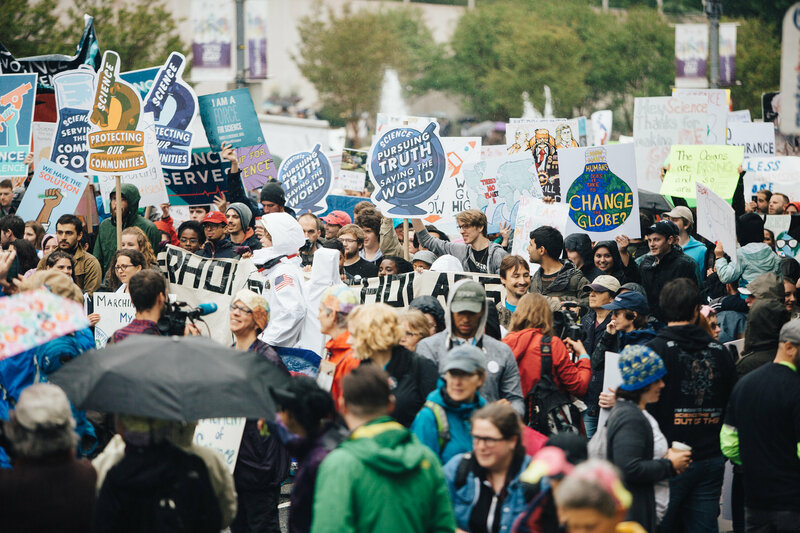 Over the past two years, a record number of Americans have met and countered the growing challenges to social progress by taking to the streets to exercise their rights, reclaim their civic role, and reenergize the democratic spirit of our country. As past sources of power like money, fame, and influence are increasingly usurped by what Henry Timms and Jeremy Heimans have termed “New Power”—the power of the people—we must invest in courageous leaders, in big ideas, and in growing movements. The RBF’s values, commitment to continuous improvement, and reliance on partnerships are reflected in our diverse grantees, funding partners, and engagement with grassroots civil society. An estimated 100,000 protesters joined the March for Science in Washington, DC, on April 22, 2017. Photo courtesy of Molly Adams via Flickr. In these times, when enormous obstacles test the progress we’ve made in recent years, it is easy to retreat into despair. It is more difficult, as Franklin said, to harness our humility and surmount our hurdles. At the Rockefeller Brothers Fund, we’re not giving up anything. We have a long way to go, but we know that setbacks do not represent defeat. We took a deep breath, swallowed our disappointment, and are back to work. In 2017, the Fund’s portfolio finished the year at approximately $938 million. This result reflects a 2017 net impact performance of 18.31 percent and total spending of approximately $46 million in expenditures that count toward the minimum distribution requirement, plus $4 million* for investment management expenses. The 2017 endowment level approached the historical high of $993 million, reached in 2007 prior to the Great Recession. Despite portfolio fluctuations, the Fund’s program spending has exceeded its payout requirements since the Recession, generating excess distributions of approximately $13 million from 2013 through 2017. Although these carry-forward credits could be applied over a five-year period against future IRS spending requirements, the Fund’s long-term philanthropic commitments compelled it to minimize reductions in its programmatic spending. Spending in excess of the five percent was approved by the trustees as the Fund sought to balance the challenges of variable performance with program activity to advance the Fund’s mission. *This figure does not include all fees paid to investment managers. It excludes the Fund’s share of underlying management and incentive fees from alternative investment funds, private equity funds, and fund of funds, where investment fees are not directly invoiced, but rather netted against investment performance. Each year, the Rockefeller Brothers Fund is required by law to distribute five percent of its endowment for charitable purposes. Since 2014, we have also been working to align our investment portfolio with our mission to help build a more just, sustainable, and peaceful world. Over the years, the Fund’s efforts to implement mission-aligned investing policies have evolved and deepened. The Fund’s Mission-Aligned Investment Efforts statement details our strategy of mission-aligned investments, whereby we seek full alignment between our portfolio and the Fund’s mission and select market-grade impact investments that advance our mission and program initiatives. This mission-aligned investment lens includes divesting from fossil fuels; investing using environmental, social, and governance (ESG) criteria; deploying investment dollars to support broad mission and programmatic priorities; and leveraging our role as a shareholder in strategic ways to advance our mission. Total spending for 2017 was $45,774,000, reflecting a slight decrease of approximately $265,000 from total spending in 2016. When excluding core operating costs of The Pocantico Center from the RBF’s spending figures, grants represented 75 percent of spending in 2017, which is consistent with previous years. 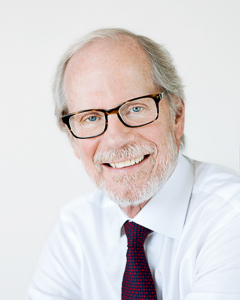 In addition to the $30.7 million in grant payments, the Fund spent a combined total of $1.4 million to further support grantees and other nonprofit organizations through program-related expenditures, conferences, and public programs at The Pocantico Center; other conferences and special events; and direct charitable activities. Spending on grantmaking and administration at the Fund’s headquarters and operations in China and the Western Balkans accounted for 90 percent of total spending. The Pocantico Center accounted for 10 percent. * Includes grant payments and employee matching gifts. ‡ Includes direct charitable activity and program-related administrative costs; excludes investment-related expenses. The Fund’s combined administrative and capital expenses, net of estimated investment-related expenses and excluding Pocantico operations, totaled $9,629,000 in 2017. Personnel costs (salaries and employee benefits) accounted for 67 percent of total administrative expenses, largely consistent with both 2015 and 2016. Since the 2008 recession, the Fund’s management has been vigilant in seeking cost-containment measures where possible while maintaining the Fund’s operating capacity. This restraint is evidenced by a cumulative increase of 19 percent in the Principal Fund administrative budget over the 10 years from 2008 to 2017. In 2017, the Fund awarded 328 grants totaling $34.4 million. This amount differs from the Grants Paid figure described in the Total Spending section ($30.7 million), as some grants are payable over more than one year. An additional $742,000 in Program-Related Expenditures and Pocantico Conferences and Events supported activities that further the Fund’s grantmaking but do not take the form of grants, including consultancies and conferences. The Fund began the year with approximately 24 percent of the overall grantmaking budget committed for payment of grants awarded in prior years. This is consistent with the Fund’s general pattern of grantmaking, although slightly lower than 2016, giving staff added flexibility for grantmaking in 2017. Grantmaking includes contributions received from external sources used to support the Fund’s programs. In total, the Fund drew on $2.7 million in contributions from individuals and other foundations to support 2017 grantmaking for the Fund’s China and Western Balkans programs, as well as a special initiative for Egypt. The Fund’s Board of Trustees also approved an additional $3 million for the Fund’s grantmaking in 2017 in response to the new political environment that challenged the Fund’s mission, program priorities, and values. From this additional support, $1.5 million was added to the Fund’s Democratic Practice program; the other $1.5 million was designated to support urgent efforts to defend people, principles, policies, and organizations under threat, included in Other below. The Fund’s support of nonprofit and philanthropic infrastructure organizations and support for mission-aligned investing grantmaking, which the Fund has increased in recent years, is also included in Other in the charts on the next page. Approximately 29 percent of the grants awarded in 2017 were for two or more years. The average grant size for 2017 was $96,961, slightly higher than 2016’s average of $95,161. Also consistent with previous years, new grantees received 20 percent of grants awarded in 2017, and, of grants awarded to previous grantees, 41 percent were for new purposes. * The New York City Pivotal Place program was concluded in 2015. In 2016, the Charles E. Culpeper Arts & Culture program was established to house the Fund’s longstanding interest in nurturing a vibrant and inclusive arts community in New York City. Twenty-five percent of all grant dollars awarded in 2017 was for general support to assist grantees in meeting core operating needs, down from 35 percent in 2016. General support has consistently made up 20-30 percent of the Fund’s annual grantmaking, but varies year to year within programs, depending on program strategy and the nature and size of requests from grantees. Organizations based in the United States were awarded 77 percent of grant dollars approved in 2017, up from 69 percent in 2016. Sixty-four percent of the Fund’s 2017 support was for grantmaking with a focus outside of the United States. This figure differs from the percentage awarded to non-U.S. organizations as grants may be awarded to U.S.-headquartered organizations for work overseas. The Fund’s international programs are committed to supporting local organizations as much as possible. The Pocantico Center has served as a venue for conferences and meetings on critical issues related to the Rockefeller Brothers Fund’s mission since 1994. It has also become a community resource, offering public access through lectures, cultural events, and a series of educational programs focused on the Pocantico Historic Area’s buildings, gardens, and collections of decorative and fine art. In 2017, The Pocantico Center held 57 conferences and meetings, 10 internal staff or trustee gatherings, and 51 public programs. Of the 57 conferences and meetings, 23 were directly related to the Fund’s grantmaking programs. In collaboration with the Culpeper Arts & Culture program, The Pocantico Center also hosts residencies for a growing number of artists and shares the creative process with the public through on-site performances, readings, exhibits, various artist interactions, and learning opportunities. Sixty-five artists, including composers, playwrights, choreographers, and dancers, participated in 13 residencies at The Pocantico Center in 2017. The Pocantico Center is managed by the Rockefeller Brothers Fund as part of its agreement with the National Trust for Historic Preservation. A public visitation program, offered annually from May through October, welcomed 36,390 visitors in 2017. The Fund’s 2017 staff total was 64, which included 41 full-time and 23 part-time employees. Of these part-time employees, one worked in Programs, one worked in the Office of the President, and two worked in Finance and Operations. Three part-time and 16 hourly employees provided operations and maintenance support to The Pocantico Center; the combined hours of these Pocantico staff members (part-time and hourly) are equal to approximately five full-time positions. The Fund filled five vacancies in 2017. The average tenure of RBF employees in 2017 was 10.9 years. In 2017, certain services of the Rockefeller Brothers Fund’s Human Resources, Operations, Accounting, and Information Technology departments were shared with the David Rockefeller Fund, the Rockefeller Family Fund, Environmental Grantmakers Associations, and the V. Kann Rasmussen Foundation. In addition, the Human Resources department provided support to the American Conservation Association, Asian Cultural Council, Rockefeller Archive Center, and the Trust for Mutual Understanding. These organizations reimbursed the RBF for their share of these services. In 2017, 63 percent of the RBF staff self-identified as White, 16 percent as Hispanic or Latino, 13 percent as Black or African American, six percent as Asian or South Asian, and two percent as Two or More Races. Women represented 82 percent of the staff. The 2017 RBF board consisted of 19 trustees, ten of whom are members of the Rockefeller family, including seven from the fifth generation. Of these 19 trustees, 84 percent are White, 11 percent Black or African American, and five percent Asian or South Asian. ESG: Acronym for environmental, social, and governance; the three main areas of concern in measuring the sustainability and ethical impact of investments. Impact (investment-related): Market-grade investment mandates that have a measurable impact on issues that align with the mission of the Rockefeller Brothers Fund. Monitored (investment-related): Investments that do not fall within the RBF’s Impact, ESG, or Screened Divest investment designations, but are evaluated for exposure to fossil fuels. Screened divest (investment-related): Investment designation that incorporates fossil fuel screening criteria.